My latest post for Threadless is up. You can read about it here! 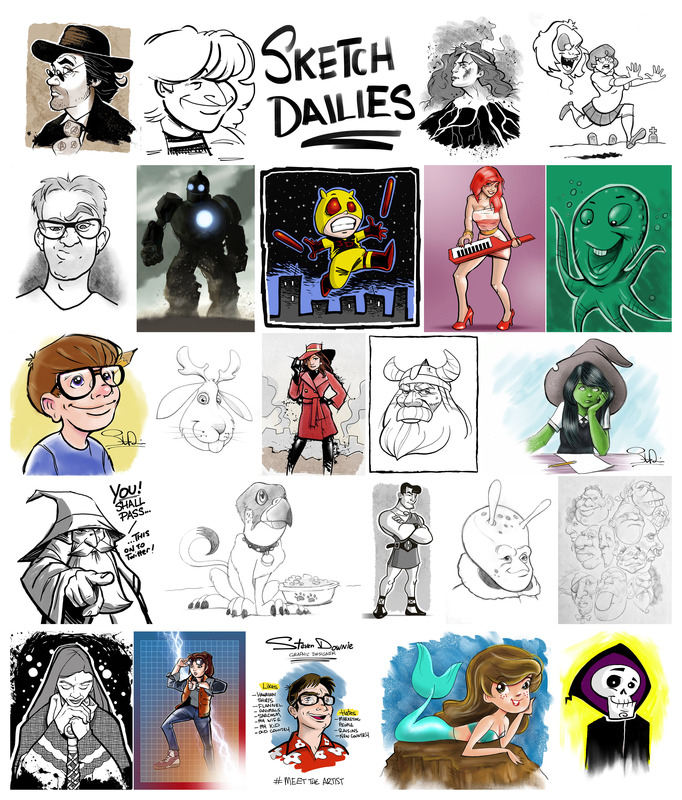 While doing a little research on personal art projects for a future blog post, I decided to compile all the @Sketch_Dailies submissions I have done since I first started doing them last year. Being a busy guy, I don’t always have the time, but I like to make certain I submit something every couple of months or so. Many of these submissions have been reworked since I originally posted them to Twitter, and some are still the originals as posted to Twitter. It also contains one image I didn’t have guts to post. Not telling which one! Click on the image above to get a much larger, and more detailed image. You can read a quick blurb about the @Sketch_Dailies project from a post a wrote a while ago here. Enjoy. This little comic is inspired by the works of Scottie Young, a really great cartoonist and comic book artist. If you haven’t already, you should check him out. This comic panel features two of my favourite DC heroes from my childhood in the 80s. The blue guy with the horns is Blue Devil and the green guy with the antennae is Ambush Bug.Both of these characters have problems with their suits not being able to come off. Blue Devil’s suit is magically grafted onto him and if I remember right, the zipper is stuck on Ambush Bug. I thought I would be fun to make fun of it as potty accidents are a staple of growing up. As I am rediscovering the hard way these days.